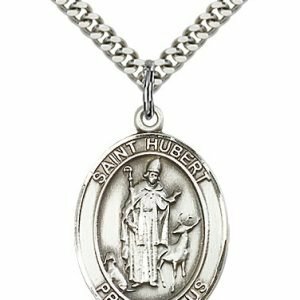 St. Hubert is also known as St. Hubertus. A married courtier with a passion for hunting Hubert was not initially passionate about his faith. On the death of his wife he left the royal court and immersed himself in hunting. 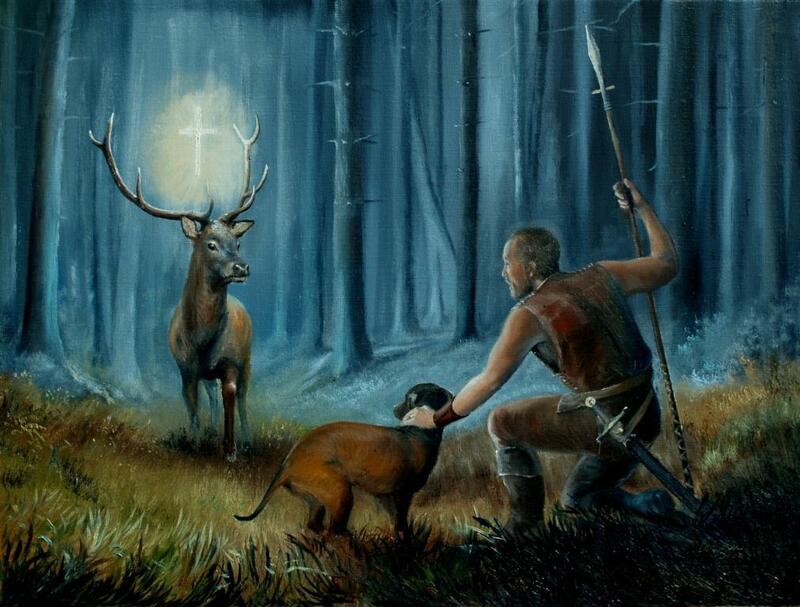 As legend holds, an encounter with a stag with a crucifix between its antlers turned Hubert’s life toward God. 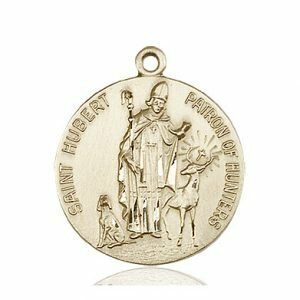 Widely recognized for his association with hunting, St. Hubert’s life story is much lesser known. 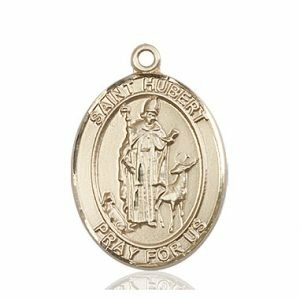 After years of chasing the next prize in his hunting pursuits, St. Hubert’s conversion and dedication to God led him to the ultimate prize: eternal life with God in heaven. 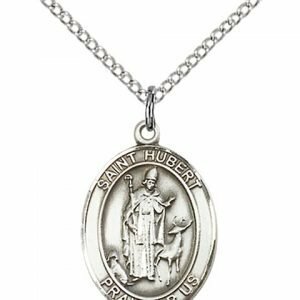 Born in 656 in what is now France, St. Hubert was the eldest son of the Duke of Acquitaine. 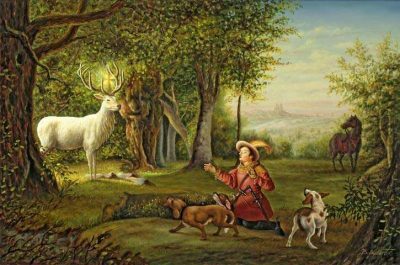 Growing up as nobility, St. Hubert grew more and more interested in the popular pastime of the age: hunting. Also, since wars at the time were fought on horseback with bows and arrows as weapons, St. Hubert practiced his skills in order to achieve a level of mastery that would benefit him both as a hunter and as a soldier. 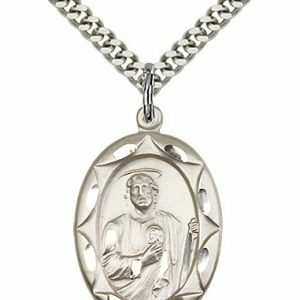 As a young man, St. Hubert was handsome and athletic, and spent most of his time seeking the pleasures and affirmations of the world. 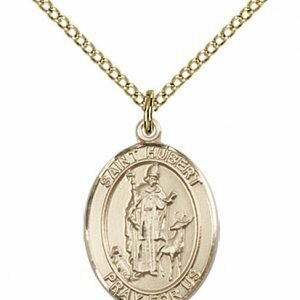 St. Hubert was brought up in the Catholic Faith, and his mother prayed constantly that he would turn from his fascination with achievement and status to the ways of the Lord. It was not until, when at age 26, St. Hubert married a woman named Floribonne, that he would reconsider his motivations and passions. 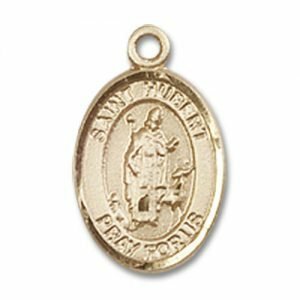 Floribonne was a devout woman whose influence rekindled in St. Hubert the faith that he had learned as a child. Sadly, though, shortly after the birth of their firstborn son, Floribert, Floribonne died. St. Hubert was crushed with grief. In response to his wife’s death, St. Hubert felt great confusion and anger toward God. He abandoned the faith that she had helped him to rekindle and went back to a life obsessed with hunting and the accolades that came with it. One Good Friday, St. Hubert set out on horseback to hunt. He came upon a large group of people gathered for devotions in honor of the holy day. The priest asked St. Hubert to join them, but St. Hubert kept on his way, preferring hunting over prayer. 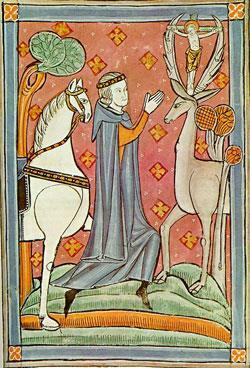 While in the woods, St. Hubert came upon a male deer with large antlers, looking right at him. 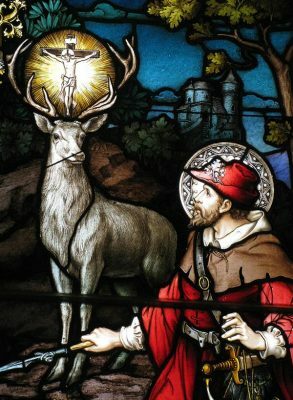 As St. Hubert readied his bow and arrow to take the deer down, he noticed between the deer’s antlers was a crucifix, radiant with light. 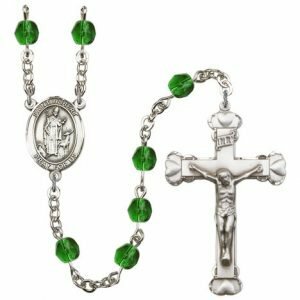 St. Hubert heard a voice telling him to turn his life over to God. He got down from his horse, knelt on the ground, and promised that he would follow the Lord’s command. 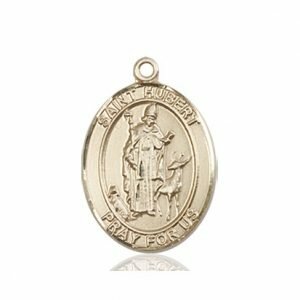 St. Hubert gave his birthright over to his younger brother, then made him guardian of his son. He set out in search of God’s will for his life. 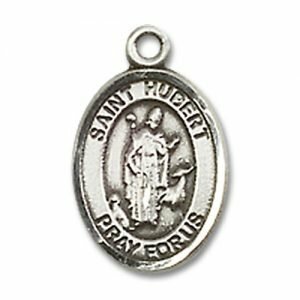 St. Hubert met a man, Lambert (who would become St. Lambert), who taught him to pray. 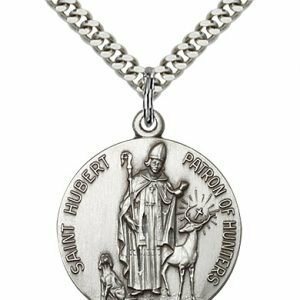 St. Hubert was later ordained a priest. After Lambert’s death, St. Hubert was appointed bishop of the people. He was known of his dynamic preaching, and often used his skills with a bow and arrow to draw crowds to come listen to the Word of God. His sermons changed many hearts. 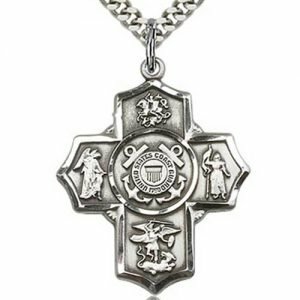 Those who were Christians found themselves renewed in their devotion. Those who were pagans became Christians and in turn destroyed the idolatrous places of worship they had previously attended. One day, in the year 726, St. Hubert had a vision of his own death while at prayer. A few days later, while reciting the “Our Father,” St. Hubert died. 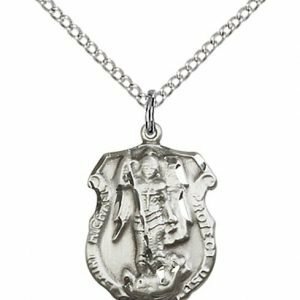 Devotion to him was popular during the Middle Ages, when several military orders were named after him. St. Hubert’s feast day is November 3. This marks the official start to the hunting season in Europe. 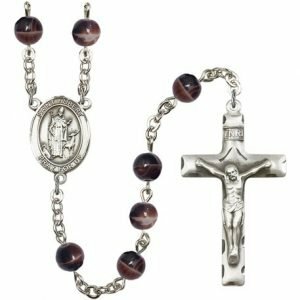 In some places, for the Mass on this day, organ music will be replaced with hunting horns. Hunters, along with their horses and dogs, will receive a special blessing. In Belgium, a special bread, called “St. Hubert’s Bread” is eaten. Later, hunters take to the forests in search of deer. In the evening the people may gather for a great feast consisting of fine foods, but featuring (of course) venison. 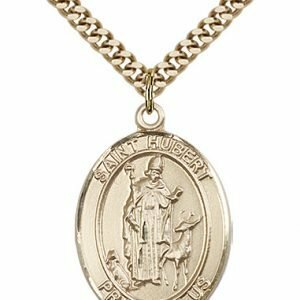 St. Hubert is most commonly known as the patron saint of hunters. 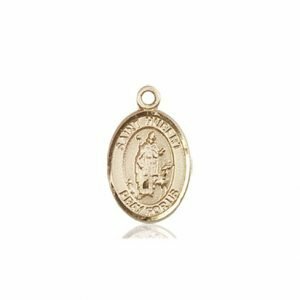 Additionally, he is the patron of archers, dogs (especially hunting dogs), forest workers, and trappers. 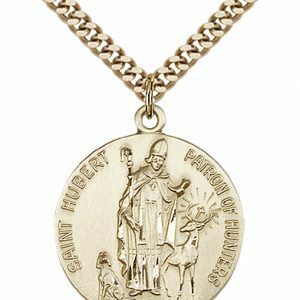 St. Hubert is often depicted in art as a man looking upon a deer with a crucifix between its antlers. At times he is dressed as a bishop, other times as a huntsman. Lord, you spoke to St. Hubert and converted him to You during a stag hunt. You changed him into a hunter of souls, yet you continued to use his skills as a hunter to open minds to your Gospel. I ask that you make me into a hunter of souls above all other hunting activities. 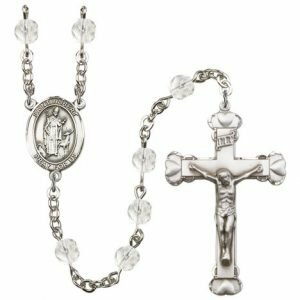 May I look for the opportunities to speak of You and Your salvation. Let the hunting camp itself be a place that uplifts the soul. 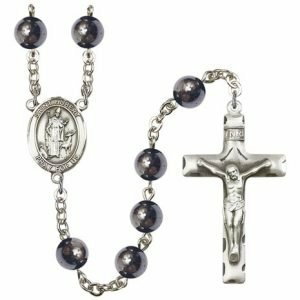 May my time alone be an opportunity to pray and listen to You. 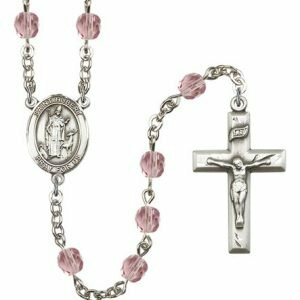 May all the actions of the rest of my life be a constant hunt for You, for the opportunities you give me to evangelize, and to target the souls most in need of Your love. Others to adore and love God. Our King and our God!